Dr. James Walsh joined The Chicago School in 2005, and has served as department chair since 2009. Before coming to the Chicago School he was a school psychologist for the LaGrange Area Department of Special Education in Chicago's western suburbs, and practiced as a clinical psychologist for a group practice. He completed his postdoctorate at Washburne Middle School in Winnetka, IL. 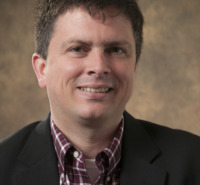 Dr. Walsh currently serves as the chair of the Illinois Directors of University School Psychology Programs and as the chair of the Illinois School Psychology Association Ethics Committee. Walsh, J. (2014).Individuals with Disabilities Education Act.In C.R. Reynolds., K.J. Vannest & E. Fletcher-Janzen (Eds.) Encyclopedia of special education-fourth edition: A reference for the education of children, adolescents, and adults with disabilities and other exceptional individuals. Hoboken, NJ: John Wiley & Sons. Walsh, J. (2014).Ethics.In C.R. Reynolds., K.J. Vannest & E. Fletcher-Janzen (Eds.) Encyclopedia of special education-fourth edition: A reference for the education of children, adolescents, and adults with disabilities and other exceptional individuals. Hoboken, NJ: John Wiley & Sons. At its best, the practice of psychology combines the science of research based interventions with the art of establishing authentic, individualized meaning for the client or clients. I graduated from college with a degree in politics and economics, and quickly realized I did not want a career in politics or economics. What I did want to do was work with children, adolescents, and their families to help them make their lives better. After some research and experience, I realized that becoming a psychologist was the best way for me to accomplish this goal. Ask lots of questions - it is the best way to get answers!